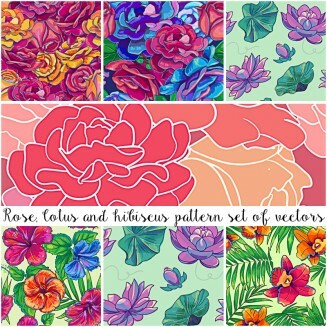 Set of 7 vector images with patterns and backgrounds with lotus, rose and hibiskus flowers. File format: .eps for Photoshop or other vector software. 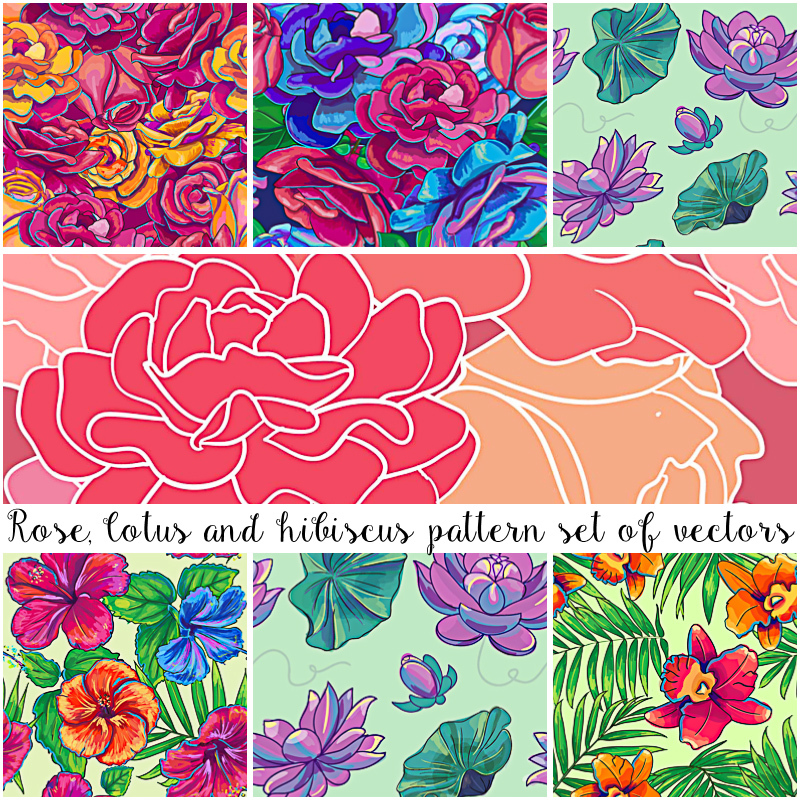 Tags: background, bright, flora, floral, flower, hibiscus, lotus, pattern, rose.